What is the price of free money? We all spend much of our lives handling money. In fact, cash is so commonplace to us that we often scarcely pay any attention to it all. Look a little closer, and you’ll soon appreciate how big of an issue currency counterfeiting is. Criminals stand to make millions, and governments invest even more than that to make their money as hard to fake as possible. At the end of the American Civil War,	1/3 of all American currency was counterfeit. There were 1600 different state banks designing and printing 7000 varieties of genuine notes, and 4000 varieties of counterfeits being produced. This situation led Abraham Lincoln	to establish the United States Secret Service to combat counterfeiting. America in 2011 3,028 people arrested for counterfeiting US currency. $261 million dollars in counterfeit cash is removed from circulation. US Population 311 million equals approximately 84 cents for every man, woman and child in the country. As much as $220 million counterfeit cash could currently be in circulation (about $3. for every $10,000). North Korea is thought to be responsible for producing $45 million in ‘Supernotes’, and is estimated to have earned $15-25 million a year from this counterfeiting. 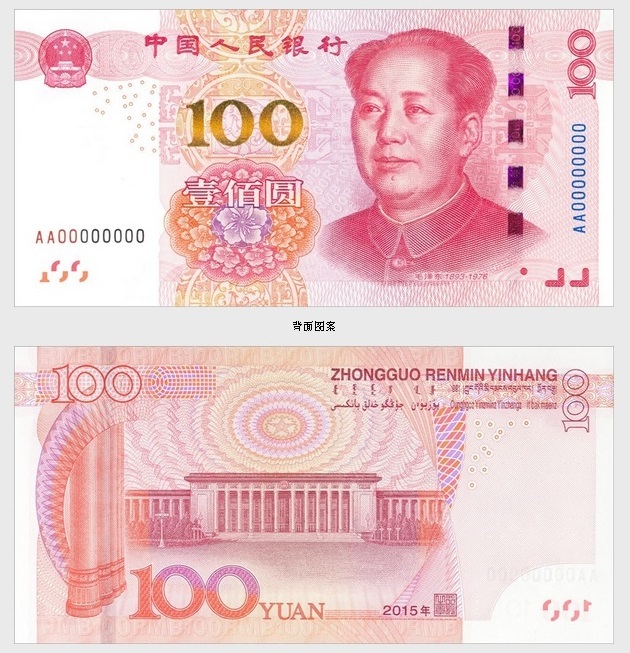 A ‘supernote is a counterfeit US $100 of very high quality containing many of the proper security features found in genuine bills. North Korea has a population of about 24 thus its output of $45 million US per year Is roughly $1.87 per person. In 2002 $121.8 million dollars were intercepted outside of the US. By contrast, in the same year, only $52.6 million was intercepted domestically. Canada In 2007, $3,333,170 were passed, which is 10 cents per person. United KingdomIn the UK in 2010, 300,000 counterfeit notes were removed from circulation,	That’s worth about £5.9 million ($9.76 million). That’s about 14 cents per person. Europe 19.9 million Euros ($27.6 million) removed from circulation in 2009. That’s about 8 cents per person. Florida	In South Florida in 2011, law enforcement officials track between $60,000 and $80,000 a week in counterfeit bills. That is, on average $3,640,000 a year. With a population of 4.32 million. that works out as around 84 cents for everyone man woman and child. In Central Florida. some $20,000 is removed weekly. That works out as $1,040,000 a year. Missouri In Kansas City, Missouri, $300,000 in fake bills is removed each year. Canada: In Canada, Quebec and Ontario are the two biggest provinces for counterfeiting. Quebec In Quebec in 2007, 55,480 counterfeit notes were passed, while 5,572 were seized before entering circulation. Ontario In Ontario in 2007, 53,329 counterfeit notes were passed, while 14,933 were seized before entering circulation. 1.501 billion pound coins in circulation, of which 2.94% (£44.13 million/$70.1 million) are estimated to be counterfeit. In 1995, less than 1% of US counterfeits came from ink-jet printers. Between October 2007 and August 2008, ink-jet counterfeits accounted for 60% of US counterfeiting output. Very Fine Lines – Very fine lines are visible on very close inspection, which will not be present in fakes. Mircoprint – Text is “microprinted” onto the bill. This is hard to reproduce without high quality printing equipment. Color Shift – Color shifting inks are used which cause the note’s colors to change when tilted. Threads – Bills are printed with a security thread which is embedded in the bill rather than printed on it. The threads are clearly visible when the bill is held up to the light. with ‘USA’ and the denomination of the bill written on them. The threads also glow blue when held under a UV light. Paper – American currency is printed on paper that is 1/4 linen and 3/4 cotton, and has red and blue fibres mixed into it. The supply of the paper is strictly controlled, making it almost impossible to obtain outside of the government. Watermarks – Watermarks are visible when the note is held up to the light. Jonathan Reyes, arrested at JFK airport with $190,000 worth of fake $100 bills. Stephen Jory, British counterfeiter, confessed to a charge of producing at	least £50 million ($79.5 million) in £20 notes. He also made £300 million as a sideline in fake perfume. Alves Dos Reis, a Portuguese career criminal, was found to have spent 200,000 500 escudo notes worth around $1,599,891. This was equivalent to 0.88% of Portugals nominal GDP at the time. Anatasios Arnaouti was convicted and jailed in 2005 for counterfeiting £2.5 million in fake £10 Notes and $3.5 million in fake $100 bills. English American Dollars During the American revolution, the British government flooded America with counterfeit continental dollars in order to destabilize the currency. American Dollars During the American civil war, Samuel C. Upham sold more than 80,000 fake confederate notes, worth $15 million. That’s a total of 2.78% of the confederate money stock. German English Pounds In 1942, the Nazis established a plan (Operation Bernhard) to collapse the British cconomy by flooding it with counterfeit money. They used forced Jewish labour to produce counterfeits almost indistinguishable from the real thing. However, the war was over too soon for the Nazi plan to be pur into action, and most of the counterfeit notes were thought to have ended up at the bottom of Lake Toplitz. COUNTERFEIT MONEY – $220 Million in counterfeit currency could be in circulation. SCAMS & FRAUD – $830 Million loss caused by 419 scams (a.k.a. Nigerian advance fee fraud) in 2007. FAKE	CHECKS – $1.024 estimated loss resulting from $760,955 check frauds in 2008. CARD FRAUD – per year in payment card fraud. IDENTITY FRAUD – $2.73 Billion loss as a result of	identity fraud in 2008. 8.1 million adults in the US were victims of identity fraud, with an average of $4,607 per victim. COUNTERFEIT GOODS – to $250 billion per year the market for counterfeit goods (claimed by the chamber of commerce).